Law firms that use the cloud aim to save money, increase their network security and utilize their work applications much more efficiently. However, there are countless cloud products and it’s very hard to keep up with how all of them can help lawyers achieve these goals. 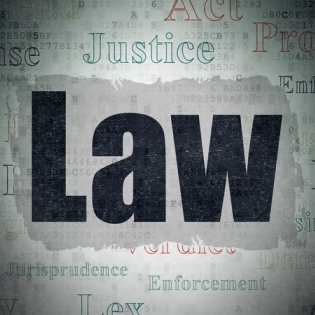 Below is a list of a few products that every law firm should be aware of. These are cloud products tailored specifically to the needs of law firms and will improve all facets of their tech. Attorneys deal with a lot of important paperwork that needs to be signed by multiple parties. Sometimes it’s a logistical slog to get these needed signatures, and getting them through fax sometimes isn’t even legally recognized. Signatures on documents that change hands constantly also fade, but e-signatures don’t. E-Signing is extremely convenient for law firms in rural areas that work with most of their clients outside of their immediate area. Nobody likes to pay overnight shipping costs, so regulating that task to a purely online forum is an absolute must. Law firms hold many confidential files that cannot be seen by any prying eyes. Losing these files to a server meltdown or data breach would be catastrophic and drive any firm to bankruptcy, which is why there must be a contingency plan in case disaster strikes. Data backup is exactly that. Find a trustworthy managed service provider, preferably one that hosts data in the cloud, and have them store data and provide constant backups. This way, if files on your side are lost for whatever reason, the MSP will have the same exact files for you on demand and you don’t lose any time. Outright losing data isn’t the only concern for lawyers. The files that law firms hold is very lucrative for cybercriminals, which is why they are among the most targeted industries for hackers. Some hackers don’t access your network to just infect your computer with a virus or shut down your office, they want to steal files and sell them on the dark web. Data encryption means that if a file with data encryption enabled were to fall into the wrong hands, that outside party would be greeted with a bunch of indecipherable gibberish. There are plenty of opportunities for a hacker to intercept a file, including as it travels to and from the cloud, and when an attorney is working at a public place on open Wi-Fi. Data encryption ensures that your files can only be read by you and whoever you are sending them to. For more information on cloud services for lawyers, please take a look how the TOSS C3 cloud can help your business or call us anytime at 1-888-884-8677!